From about the Mauryan period, we have further archaeological evidence of forts in the ancient period in India. 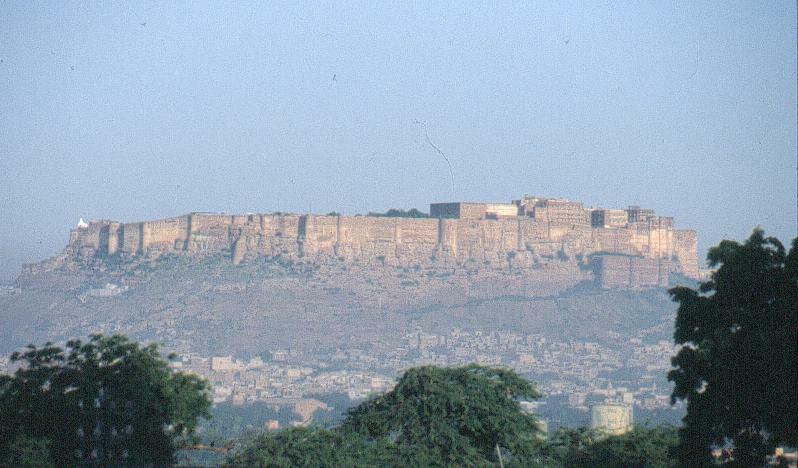 Further contemporary literary source of Arthashastra corroborates the existence of forts and considers them as one of the seven elements of sovereignty. 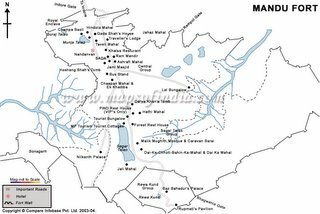 India’s Machiavelli (pardon the ethnocentrism) classifies forts into four types – Parvata ( forts on hills), Audaka (water), Dhanvan ( desert) and Vandurga (forest). 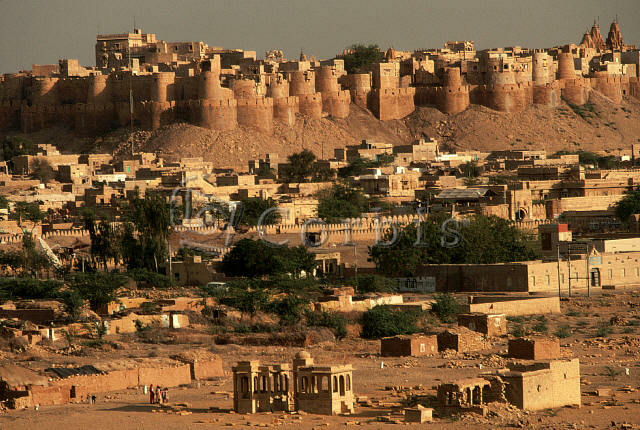 Most of the forts that are seen today and which are favourite tourist destinations belong to the medieval period. 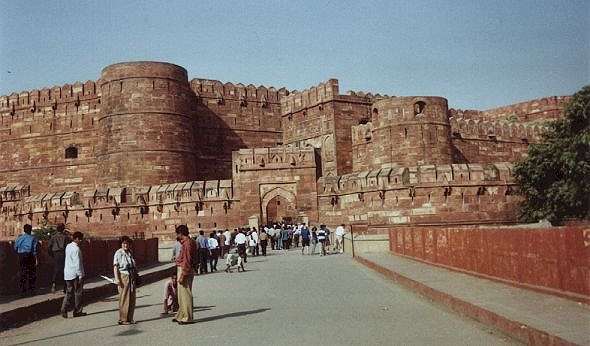 Just like temples, the multiple presence of forts was specifically a medieval activity and like temples again the study of forts needs to be contextualised in terms of the socio-economic, cultural and political factors. On the basis of some reading on aspects of military of medieval India, I hazard to draw certain conclusions which helps to contextualise forts in larger socio-economic framework. One of the most important aspect of the forts, as any casual visitor would notice, are the granary and the water supply source. Why was it the case? The reasons are not as apparent as it may seem. Delving into the early medieval past of India (i.e. 700 to 1200 AD) the feudal period, the society was distinctly divided into three distinctive groups or class groups (castes) i.e. the priestly and the warrior class, the landed ( the rais, ranas and rawats, the zamindars; the share croppers??) and working class i.e. ordinary farmers, artisans like carpenters, masons and finally the untouchable class i.e. scavengers, cleaners etc. The warrior classes (Kings) and the priestly classes lived within the four walls of the forts – well protected with adequate stock of food grains, water and other conveniences which could even last months even as their fort was besieged by invaders. The surplus was appropriated from the peasants in villages by the feudatories ( the rais, ranas and rawats). Some understanding of the caste system is also needed here as prevalent in India between 7th century to 14th century AD. In the social order obtained at this period of time war and waging war was largely the job of the kings and the warrior castes. The so called army as envisioned then comprised basically of members from the Kshatriya caste i.e. kings and and other nobles with the peasants also doubling as soldiers. But the caste system gave these peasants/soldiers a poor status and social intermingling was not something that was approved. The social distance had to be maintained. Hence forts became a remote entity for most. 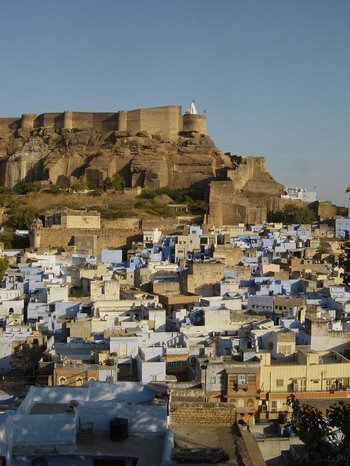 The forts remoteness, a physical manifestation of the caste system, usually on a hill with numerous defense mechanisms inherent in it like the moat, multiple gates, the peasants/soldiers could hardly connect with their own monarchs. On the other hand these peasants offered their services to the invading West and Central Asian armies (read Muslim rulers) against their own monarchs. The slumber and sloth of the so called warrior class was such that their mindset was more defensive. The preferred mode of defense was to remain enconsed in the forts, which were no doubt very strategically located and thoughtfully built. (Since the sieges often went on for months and then the army was weak, the forts had to sustain itself with food and water. Hence the prime of place for them in forts and it is not surprising that the invading armies from West Asia and Central Asia (the Turks) always tried to attack the granary in a fort.) Rajasthan with its numerous forts at Ranthambhore, Chittaurgarh in particular offered stubborn resistance to the Delhi Sultans and Mughals. Similarly in the Deccan the Daulatabad fort remained unassailable for many years when the Sultanate tried to expand their empire further south. Hence forts, with the commencement of the Turko-Persian rule became more inclusive, a true town with the presence of all communities and classes – a thriving center of economic activity. Forts in fact became more like cities. An urban revolution as historian Mohammad Habib called it. In fact it is for this reason that forts belonging to the so called Muslim period were also built differently. 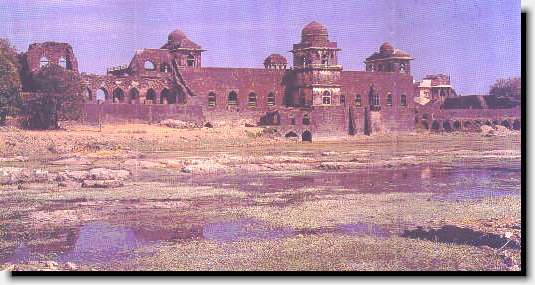 Take the example of Mandu fort. It was a huge complex with its outermost wall running for nearly 45 kms. Thus all city dwellers irrespective of caste distinctions, if not class distinctions, lived within its ramparts (but since the caste system never really died down there where perhaps different localities for different communities within the ramparts of the forts and hence caste segregations were maintained). 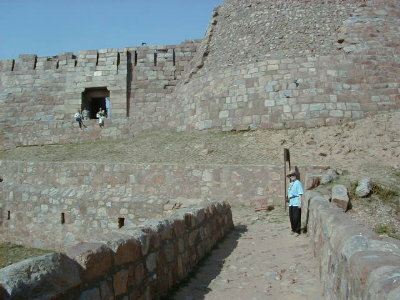 Likewise take Golconda fort or Tughlaqabad fort. And even Hampi!- The so called Hindu empire and capital. The social and physical remoteness of pre thirteenth century forts was gone post 1206 AD. Forts of the Mughal era like the Red forts in Delhi, Agra and Lahore, in my view, based my little reading, observation and intution (!) were actually palaces with towering walls for the privacy of the Mughal royalty behind which transpired all the orgies and schemings. Therefore now the preferred form of waging wars was not so much sieges but battling out the enemies on the battlefield. The Mughal army along with the extensive use of gun powder and armaments like cannons, flintlocks became a more pro-battle empire whose mindset unlike its pre 1206 predecessors was not defensive. (Gun powder regimes as historian Burton Stein called it) Recall the number of battles fought in ‘battlefields’ like Terrain, Panipat, Khanwa, Talikota. In this context the criticism of Indian forts not adopting the new fort building style of trace Italienne, developed in Italy which slowly became a standard fort building method across Europe, does not seem tenable. (See Jos J.L.Gommans and Dirk H.A.Kolf (ed. ), Warfare and Weaponry in South Asia 1000 to 1800 AD, New Delhi, 2001) True siege of forts continued even during the post 1206 period but methods of warfare changed from being fort centred to battlefield centred. In our anxiety to make history more concrete and give it some complexity, the idea is not to burden kids with such nuanced understanding of armies and forts in India but to help them to figure out how the matters in the past were always in a state of flux. There is much more to history even if seen as a chronology of battles. The nature and context of battles changed which also tell us about the society of the times of the battle – its economy, culture and technology. Now how are we going to teach such a topic like this one, to kids without making it heavy or without making it trivial, has to be worked out. Watch this space and in the meanwhile continue to give your responses. but thanx to this..i relived a part of that feeling atleast !!! damn you leftit!! stole my words. can you visualise me skipping with joy?? Insightful post. But why didn't you mention the hill forts of the area surrounding Bangalore? Saki says they were built by robber-chieftains. Is there a different perspective to that opinion? The other issue is temple-building. Saki automatically (like other hard-core Leftists) assumes a class conspiracy. But is the class theory the only perspective to a temple or fort?